For the football player, see Keith Joseph (American football). 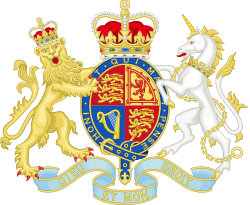 Keith Sinjohn Joseph, Baron Joseph, CH, PC, QC (17 January 1918 – 10 December 1994), known as Sir Keith Joseph for most of his political life, was a British barrister and politician. A member of the Conservative Party, he served in the Cabinet under four prime ministers: Harold Macmillan, Sir Alec Douglas-Home, Edward Heath and Margaret Thatcher. He was a key influence in the creation of what came to be known as "Thatcherism" and the subsequent decline of one-nation conservatism and the postwar consensus. Keith Joseph was the first to introduce the concept of the social market economy into Britain, an economic and social system inspired by christian democracy. He also co-founded the Centre for Policy Studies writing its first publication: Why Britain needs a Social Market Economy. Joseph was the son of a wealthy and influential Jewish family. His father, Samuel Joseph headed the vast family construction and project-management company, Bovis, and was Lord Mayor of London in 1942–3. At the end of his term he was created a baronet. On the death of his father on 4 October 1944, 26-year-old Keith inherited the baronetcy. Joseph was educated at Lockers Park School in Hemel Hempstead in Hertfordshire, followed by Harrow School and Magdalen College, Oxford, where he studied Jurisprudence, obtaining first class honours. Shortly thereafter he was elected a Fellow of All Souls College. During World War II, Joseph served as a captain in the Royal Artillery, and suffered a minor wound during German shelling of his company's headquarters in Italy, as well as being mentioned in despatches. After the end of the war, he was called to the Bar (Middle Temple). Following his father, he was elected as an Alderman of the City of London. He was a Director of Bovis, becoming chairman in 1958, and became an underwriter at Lloyd's of London. He was married twice: firstly, in 1951 to Hellen Guggenheimer, with whom he had four children. After their divorce in 1985, he married Yolanda Sherriff (née Castro) in 1990. He failed to be elected to the marginal seat of Baron's Court in West London by 125 votes in the 1955 election. He was elected to parliament in a by-election for Leeds North East in February 1956. He was swiftly appointed as a Parliamentary Private Secretary. 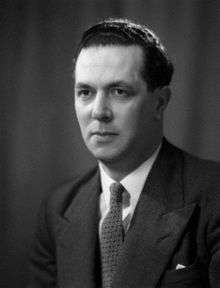 After 1959, Sir Keith had several junior posts in the Macmillan government at the Ministry of Housing and the Board of Trade. In the 'Night of the Long Knives' reshuffle of 13 July 1962 he was made Minister for Housing and Local Government, a cabinet position. He introduced a massive programme to build council housing, which aimed at 400,000 new homes per year by 1965. He wished to increase the proportion of owner-occupied households, by offering help with mortgage deposits. Housing was an important issue at the 1964 election and Joseph was felt to have done well on television in the campaign. In opposition, Joseph was spokesman on Social Services, and then on Labour under Edward Heath. He was one of twelve founder members of the NCSWD, the National Council for Single Woman and Her Dependants on 15 December 1965. According to Tim Cook in his book The History of the Carers' Movement, he and Sally Oppenheim were critical in raising funds from the Carnegie Trust and other organisations, which enabled the carers movement to succeed and thrive through their formative years. Despite Joseph's reputation as a right-winger, Heath promoted him to Trade spokesman in 1967, where he had an important role in policy development. In the run-up to the 1970 election Joseph made a series of speeches under the title "civilised capitalism", in which he outlined his political philosophy and hinted of cuts in public spending. At the Selsdon Park Hotel meeting, the Conservative Party largely adopted this approach. After the Conservatives won the election, Joseph was made Secretary of State for Social Services, which put him in charge of the largest bureaucracy of any government department but kept him out of control of economics. Despite his speeches against bureaucracy, Joseph found himself compelled to add to it as he increased and improved services in the National Health Service. However, he grew increasingly opposed to the Heath government's economic strategy, which had seen a 'U-turn' in favour of intervention in industry in 1972. Following the 1974 election defeat, Sir Keith worked with Margaret Thatcher to set up the Centre for Policy Studies, a think-tank to develop policies for the new free-market Conservatism that they both favoured. Joseph became interested in the economic theory of monetarism as formulated by Milton Friedman, and much earlier by Enoch Powell, and persuaded Mrs Thatcher to support it. Despite still being a member of Heath's Shadow Cabinet, Joseph was openly critical of his government's record. Joseph delivered his famous Stockton lecture on the economy Monetarism Is Not Enough, where he contrasted wealth-producing sectors in an economy such as manufacturing with the service sector and government, which tend to be wealth-consuming. He contended that an economy begins to decline as its wealth-producing sector shrinks. Many on the right-wing of the Conservative Party looked to Joseph to challenge Heath for the leadership, but Joseph's chances of this were damaged by a controversial speech on 19 October 1974. Covering a variety of social conservative topics, while drawing on an article written by Arthur Wynn and his wife which had been published by the Child Poverty Action Group. The response was outrage that despite his repeated apologies sharply undercut Joseph's campaign to replace Heath as party leader. The speech was largely written by Alfred Sherman but the most controversial sentence was inserted by Joseph himself. "It was only in April 1974 that I was converted to Conservatism. (I had thought I was a Conservative but I now see that I was not really one at all.)" This remark expressed Joseph's sense of failure during multiple Conservative governments that had automatically followed the post-war consensus of a welfare state with strong labour unions. Their policies to stabilise the economy retained government control on industries and creating an intricate system to control wages and dividends. In the eyes of Thatcher and Joseph, this pragmatic approach was contrary to the true "Conservative" ideology. As he had done a great deal to promote Mrs Thatcher, when she won the leadership in 1975 she determined to put him in a position that would facilitate a profound influence on Conservative Party policy. In Thatcher's Shadow Cabinet, Joseph wanted to be Shadow Chancellor of the Exchequer, but after his notorious 1974 speech that was impossible. Instead he was given overall responsibility for Policy and Research. He had a large impact on the Conservative manifesto for the 1979 election, although frequently a compromise had to be reached with Heath's more moderate supporters such as James Prior. Prime Minister Thatcher named him Secretary of State for Industry. He began to prepare the many nationalised industries for privatisation by bringing in private sector managers such as Ian MacGregor, but was still forced to give large subsidies to those industries making losses. As Thatcher's Secretary of State for Education and Science from 1981 he started the ball rolling for GCSEs, and the establishment of a national curriculum in England and Wales. Mark Carlisle, his predecessor in the new conservative government of 1979 had cancelled the plans of Shirley Williams, his second-last predecessor, to merge O Levels and CSEs, but this was achieved during his time. Although not normally the responsibility of central government, he insisted on personally approving the individual subject syllabuses before the GCSE system was introduced. His attempts to reform teachers' pay and bring in new contracts were opposed by the trade unions, leading to a series of one-day strikes. In 1984 his public spending negotiations with his Treasury colleagues resulted in a proposed plan for extra research funding for universities financed through the curtailment of financial support to students who were dependent children of more affluent parents. This plan provoked heated opposition from fellow members of the Cabinet (in particular Cecil Parkinson) and a compromise plan was found necessary to secure consensus. This involved the abandonment of Joseph's plan to levy tuition fees, while preserving his aspiration to abolish the minimum grant. The resulting loss to research funding was halved by a concession of further revenue by the Treasury team. Anthony Gilberthorpe, named Joseph in a dossier of alleged abusers of young boys sent to then Prime Minister Margaret Thatcher in 1983. Joseph was one of the Tory ministers to survive the blast at the Grand Hotel while attending the Conservative Party Conference at Brighton in 1984. In 1985 he published a White Paper on the university sector, The Development of Higher Education into the 1990s, which advocated an appraisal system to assess the relative quality of research, and foresaw a retrenchment in the size of the higher education sector. Both proposals were highly controversial. Joseph stepped down from the Cabinet in 1986, and retired from Parliament at the 1987 election. He was appointed to the Order of the Companions of Honour in 1986. He received a life peerage in the dissolution honours, being created Baron Joseph, of Portsoken in the City of London on 12 October 1987. At the end of 2011, the release of confidential documents under the UK Government's 30-year rule revealed Joseph's thoughts regarding the Liverpool Riots. In response to Michael Heseltine's regeneration proposal, Joseph suggested that there should be a "managed rundown" of Merseyside instead. Later, his private secretary asked for minutes of a meeting to be amended to remove reference to explicit economic regeneration as Joseph believed “it is by no means clear that any such strategy could lead to a viable economic entity”. Joseph's political achievement was in pioneering the application of monetarist economics to British political economics, and in developing what would later become known as 'Thatcherism'. He knew his own limitations, remarking of the prospect of his becoming Leader of the Conservative Party that "it would have been a disaster for the party, country, and me", and he rated himself a failure in office. His political philosophy speeches, which led to him being nicknamed 'The Mad Monk', were ridiculed at the time but they were profoundly influential within the Conservative Party and in practice set the tone for politics in the 1980s. ↑ "OBITUARY: Lord Joseph". The Independent. London: INM. 12 December 1994. ISSN 0951-9467. OCLC 185201487. Retrieved 22 July 2014. ↑ Yergin, Daniel; Stanislaw, Joseph (1998). Excerpt from "The Commanding Heights" (PDF). New York: Simon & Schuster. pp. 92–105. ISBN 9780684829753. Retrieved 22 July 2014. ↑ "Keith Joseph and wife to part". Glasgow Herald. 30 March 1978. Retrieved 22 July 2014. ↑ Sir Keith Joseph, Centre for Policy Studies (5 April 1976).Stockton Lecture, Monetarism Is Not Enough, with foreword by Margaret Thatcher. (Barry Rose Pub.) Margaret Thatcher Foundation (2006). ↑ David Friedman, New America Foundation (15 June 2002).No Light at the End of the Tunnel Los Angeles Times. ↑ Aitken, Ian (29 September 2001). "Obituary: Arthur Wynn". London: The Guardian. Retrieved 12 May 2009. ↑ John Pierson; Martin Thomas (2010). Dictionary of Social Work: The Definitive A to Z of Social Work and Social Care. McGraw-Hill. p. 140. ↑ Andrew Denham and Mark Garnett, Keith Joseph (Acumen, 2002), p. 265. ↑ Tony Wright (2013). British Politics: A Very Short Introduction. Oxford UP. p. 49. ↑ The London Gazette: no. 50547. p. 7729. 10 June 1986. ↑ The London Gazette: no. 51092. p. 12747. 15 October 1987. 1 2 Gainsbury, Sally (30 December 2011). "Tories debated letting Liverpool 'decline'". Financial Times. Retrieved 22 July 2014. Harrison, Brian. "Mrs. Thatcher and the Intellectuals," Twentieth Century British History (1994) 5#2 pp 206–245. O'Connell, Jeffrey and Thomas E. O'Connell. "Global Raising and Razing of Statism: The Mirror Roles of Two Law-Trained Englishmen – William Beveridge and Keith Joseph," Journal of Law & Politics (2000) 16#3 pp 639–662.